LAFAYETTE, Ind. — Due to recent cost-saving measures from the Indiana State Department of Health (ISDH), a change in state law will cut county health departments vaccination funding. 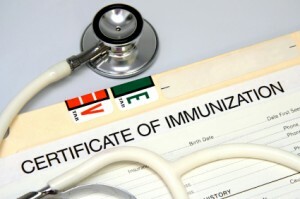 Effective July 1, 2011, county health departments (including the Tippecanoe County Health Department) will no longer be able to provide immunizations given to most adults and children whose insurance covers vaccination costs. This does not mean that families and children who do not have insurance at all will no longer be able to get vaccinations. This may affect families and children who do have insurance that does cover vaccinations, but who had been electing to get vaccinations from the county health department. Parents who have questions about this new change are advised to contact their insurance company to see if immunizations are covered and how they are affected. “The Indiana State Department of Health requires specific vaccinations for children entering kindergarten and sixth grade. Visit the ISDH website for a complete list of immunization requirements,” said Dr. Chet Ho, IU Health Arnett Pediatrician and Primary Care Division Director. If a child is not insured, their insurance does not cover certain vaccines, or they have reached the cap that insurance will pay towards immunizations, they may still be eligible to receive these services at the local Health Department. “Be sure to know what immunizations your insurance covers prior to your child’s appointment. This will allow your provider to give immunizations from a private supply if insurance covers them or refer you to the Health Department appropriately,” Ho adds. For more information regarding immunization requirements, please visit the ISDH website at www.in.gov/isdh.